When you first hear, “Tigernuts,” I’m sure you, as did I, have several visuals enter your mind. Let me quickly clear those up for you. First, they are not from an animal. Second, they are not a nut. Crazy, huh? Well, what they are is a little, round, tuberous veggie! They have been around for thousands of years, and are widespread in much of the world. Sometimes called, “earth almonds.” I discovered these little gems when I began researching recipes for the AIP or ‘Autoimmune Paleo’ protocol. I had a paleo diet for seven years, but still had some food issues I needed to address, as I have Hashimotos thyroiditis and Celiac disease. The AIP protocol excludes nuts and seeds during the elimination phase. I thought that would kill me, as I ate nuts and seeds daily—for years! I also didn’t want higher carbohydrate, yet grain-free, flours like tapioca or cassava on a frequent basis. Many recipes were coming up in my searches that contained tigernut flour. I went onto Amazon and bought my first bag. I absolutely fell in love with it! It has a slightly nutty, slightly sweet flavor to it. I then bought the actual tigernuts. They looked to me like slightly burnt puffs of caramel corn! Well, I had never researched on how to eat the tubers themselves, other than in the flour form. I almost broke . didn’t cost me a trip to the dentist before finding that out. I also bought sliced tigernuts. No soaking required! And have used them in AIP-friendly granola and cereal. They look similar to thinly sliced almonds, but do not have that “crunch,” of a nut. They are also the base for the popular Spanish drink Horchata. Now, what I have discovered over the past year-and-a-half of my personal experimenting, is that I have successfully been able to substitute tigernut flour for almond flour in just about every recipe I’ve tried! For those allergic to nuts, or, like me, can tolerate nuts, but not all the time, this was a game-changer! Oh, I get so excited about food! One of my very favorite foods, and a former daily breakfast staple until I discovered the nut issue, was from Elana’s Pantry. 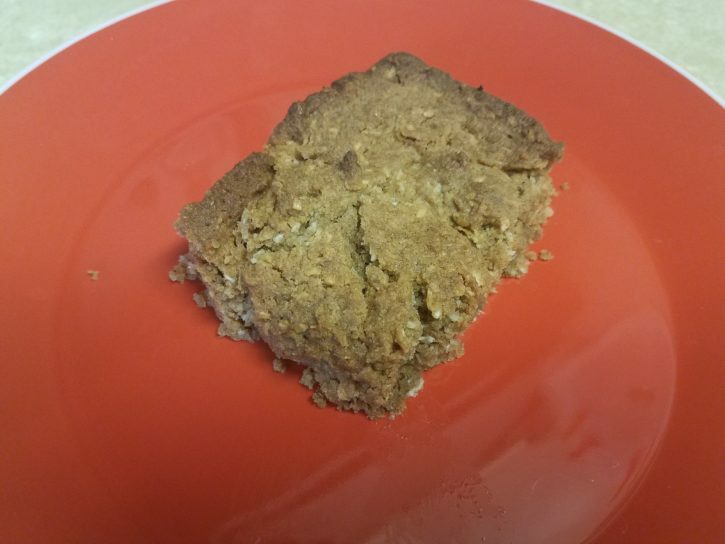 Elena Amsterdam creates some fantastic recipes, and her Breakfast Bars RECIPE were no exception. The main ingredient? Almond flour. Plus, nuts and seeds. AIP protocol no-nos. I had already altered the oil and sweetener used, but last week, I was wanting the chewy delicious goodness of one of those darn bars. So, I thought, why not see if I can create an AIP-friendly recipe that is similar, and with tigernut flour? I usually just throw things together, not writing down amounts, but this time I had a feeling it was going to be good. Thus, I took note of amounts. You’re welcome. My cleaning gal and personal trainer friend, Kate, taste-tested the pan for me. I gave them to her to take home. When asked the next day if she liked them, she told me, “I might have eaten the whole pan last night.” So, I knew they were a go, as Kate is one of my official taste-testers and gives me honest opinions! I will tell you that I tried this recipe four times before feeling it was good enough to post for you. I will tell you what I found to be the best combination of ingredients for both taste and texture. And, I will give you, in the recipe, options to find your best combination. If you are like me, you never follow directions exactly on a recipe either. Following the recipe I will give you some of the fantastic nutritional benefits of this tiny tuber, which many feel is a superfood. You will know that you are doing a body good with this one! Gelatin Egg: Mix 1 T lukewarm water with 1 T grass-fed gelatin. It will become a thick gel-like paste. Add 2 T boiling water and whisk rapidly until mixture is liquid, frothy. OPTIONAL: You can add nuts, seeds, raisins to this recipe if you have successfully reintroduced them. *There is a natural sweetness to this batter, as tigernuts are naturally semi-sweet in flavor. If you prefer less-sweet bars, go for the lower measurement of sweetener. You can always taste-test the batter for preference! If you use a granulated sweetener, such as coconut sugar, add 1/8 cup extra coconut milk. In a large bowl, combine the tigernut flour, salt, baking soda, cinnamon. Use a whisk to combine. Set aside. In a small bowl, combine the oil, sweetener, vanilla. Whisk until well combined. Add the coconut milk and whisk it in, thoroughly. Pour the wet ingredients into the dry and stir until mixed well. Add apple cider vinegar. Mix well. Add the gelatin egg last and mix until incorporated. Grease a baking dish (I used a Pyrex 9×7 dish) with some oil. Add the dough and press it out until even. It should not be too thick or thin and spread nicely. Baking: For the chewiest texture inside with a crunchy outside, bake at 350 for 15 minutes, then 400 for 10 minutes. If you prefer lighter, bake at 375 for 20 minutes. Knife in center should come out clean, and they should be nicely browned. They will feel soft, may look somewhat raw in the middle but they will firm up! Cool on counter or in the fridge for a couple of hours. Cut when cool. They’re even better the next day! Also freeze well. 1. They are 33% fiber—10g per serving. Insoluble fiber—no carb spikes. Keeps you full. 3. Resistant Starch. Resistant starches feed the good bacteria in the gut, a pre-biotic. Keeps your digestive system functioning well. Note: The gut flora can rapidly change with the introduction of resistant starch pre-biotics. You may want to introduce slowly if feeling gas or bloating. 4. Good fat—Oleic acid. This is a monounsaturated fat, as is in olive oil. Decrease risk for cardiovascular disease and stroke, increase HDL and lower LDL, the bad cholesterol. Increases fat burning to help with weight loss. 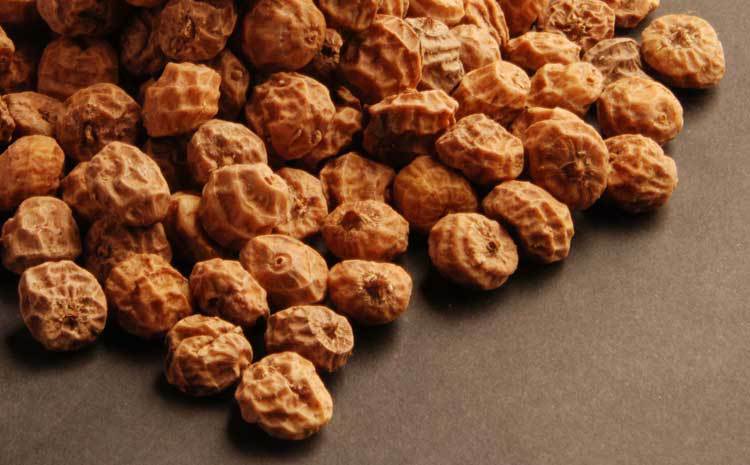 Where can you buy tigernuts or tigernut flour? Here are links for you. Anthony’s is my favorite flour. Great quality, good price. No, it isn’t cheap, but well worth every dime. Invest in your health, invest in yourself.